Every Monday night on VH1’s “Love & Hip Hop Atlanta” we get to see the loud mouth, s*it talking, comedic, soulful voice, we’ve all come to know as K. Michelle. The reality star has a large presence, voice, and more importantly, a much larger story. Being voicetress at every given chance, we received a glimpse of the rebel with a hurting soul. With her musical influences being Mary J. Blige and Whitney Houston, not to mention R. Kelly being her mentor and helping her hone her writing talent, one can only imagine the penned content of her songs as the rebel finally tells her story. Since the success of the reality show and a formal introduction to the songtress, K. Michelle is indeed on the rise with the albums leading single “V.S.O.P.” It’s an upbeat song with “Kay” singing about a man and liquor, which is fitting from what the viewers come to know of her. However, the albums first impression isn’t the best. 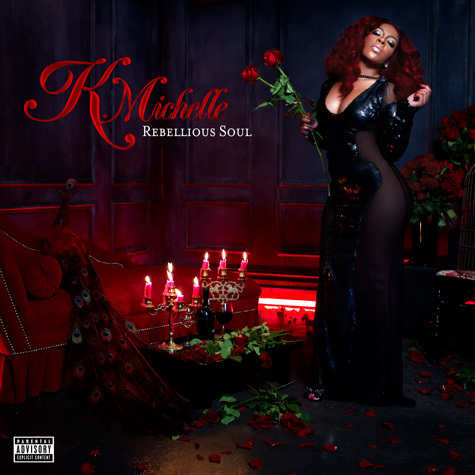 The cover displays K. Michelle standing in a corner holding roses in one hand and twirling her hair in the other, as red lit candles sit next to a chaise with a peacock. Nothing about this cover says “Rebellious Soul” until you hit the play button. Her approach to music sounds very familiar to Mary J. Blige and Keyshia Cole, but more honest than Keyshia’s material. Kay has the ability to make her music more relatable with the “did she just say that?” factor all while telling a story. She sings on “Damn” conveying how she wants to fall in love, yet her fears are preventing her along with a busy schedule. Yet, barring her soul on the 1960’s style tune “Sometimes” singing with great moxie, emotion and pain. When you stumble upon the track “Pay My Bills” you’d think here’s another male bashing song similar to the likes of Erykah Badu’s “Tyrone” or Destiny’s Child “Bills Bills Bills.” Well that’s not the case when it comes to K. Michelle. She’s boasting about her bedroom skills and how she’s doing it to get her bills paid. The album also offers a few interludes intertwine with the songs, but too bad they’re blended instead of single tracked. “Coochie Symphony” sounds like a chapter taken from her mentor R. Kelly’s’ songbook, but provides a good laugh. She softly sings on “Rebuild this Heart” interlude accompanied by a piano before venturing into the albums closing track “A Mother’s Prayer” which serves as an ode to her son Chace. Other standout tracks are “Hate on Her” and “When I Get a Man.” However K. Michelle goes deep and reveals a vulnerable side on the song “I Don’t Like Me” where she sings a story about most women’s insecurities and self-esteem issues regarding men. “Rebellious Soul” is what most debut albums are made of and more. 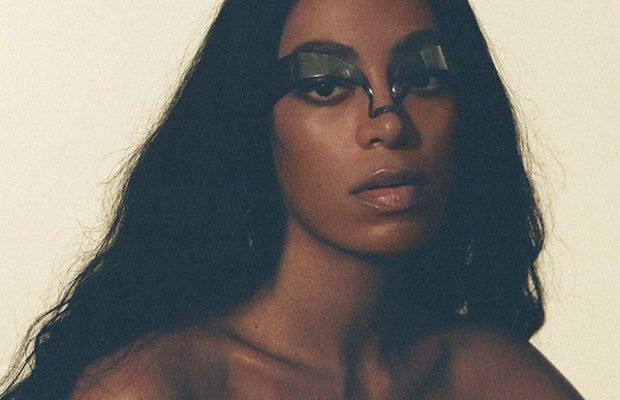 It’s real R&B with her unique and overtly honest lyrics that will at times make you clutch your pearls, but make you respect her for being transparent. Even though she may tend to get extra explicit with content. It’s still a creative batch of refreshing music, which is vastly far from what most artists are given us with their music. 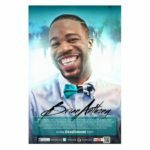 The album has one feature from Philadelphia rapper Meek Mill, and still offers a good blend of authentic material. However, I encourage all to purchase the Best Buy exclusive copy that contains three bonus tracks. One including the full-length version to the albums first interlude “The Right One.” Along with “Same Man” and “Better Than Nothing” which are worthy. Michelle is indeed a rebel without a pause, and you are able to hear that with this collection of songs. Her selection, along with rawness and frankness are very reminiscent of Mary J. Blige’s catalogue. This well written album may not come across as your traditional R&B album. And yes, some may even say the songs are ghetto, but what does one expect from a rebellious soul?